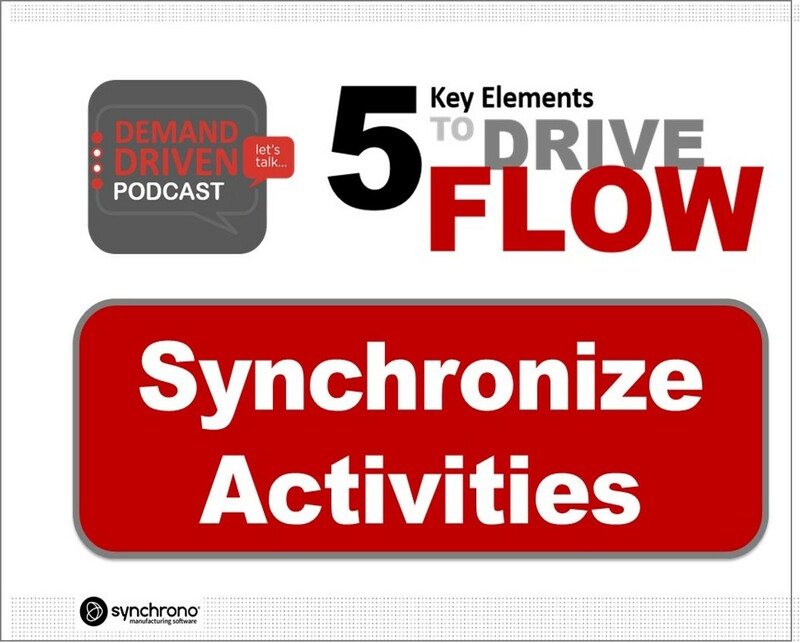 The Synchrono® Demand-Driven Manufacturing Platform enables the visual factory of the future; synchronizing people, processes, machines, materials and data to drive production flow from order inception to delivery. 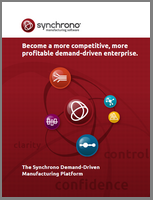 The award winning Synchrono® Demand-Driven Manufacturing Platform includes all of the company’s software products: a production planning, scheduling and execution system; ekanban inventory replenishment and supply chain collaboration software; a data collection, historian and automated workflow engine; alert management and monitoring software; and a real-time visual factory information system. 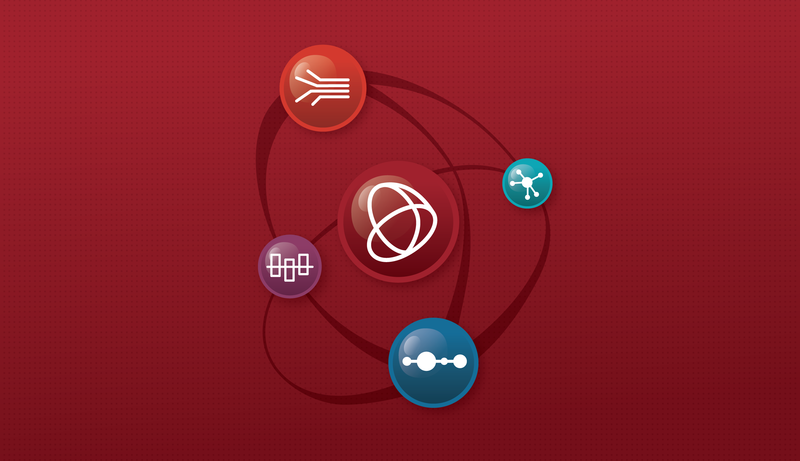 The Platform components may be implemented independently or collectively to enable the Internet of Things and an unprecedented foundation for communication, collaboration and continuous improvement. 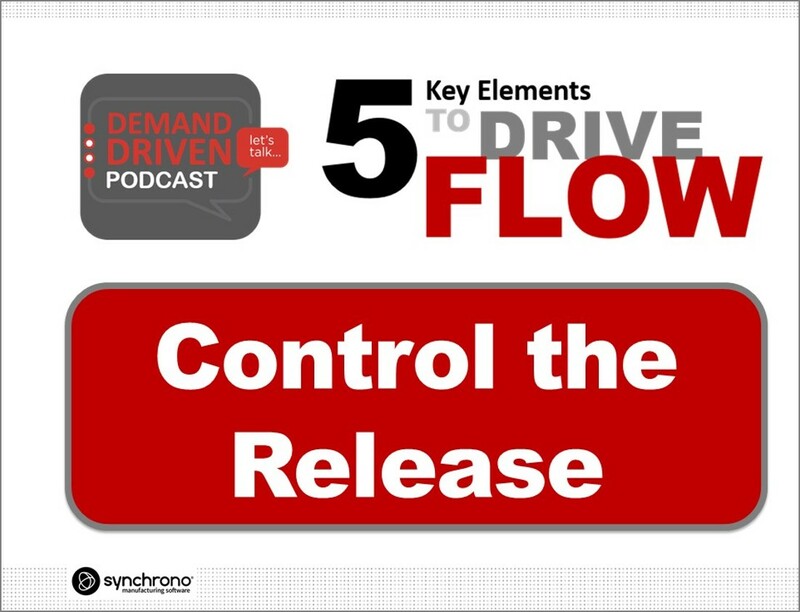 Explore the Platform resources to learn how we help clients manage constraints, improve flow and drive on-time delivery to maintain a competitive edge. 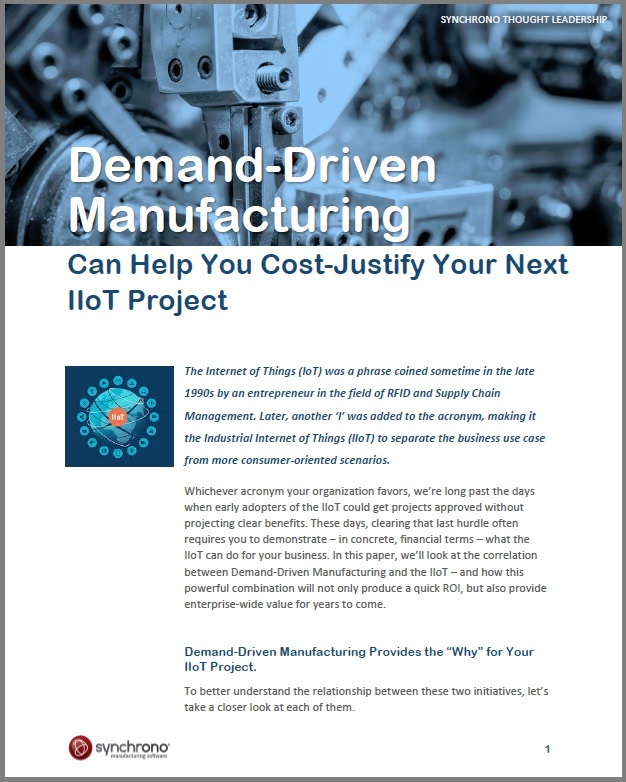 The Industrial Internet of Things (IIoT), Smart Manufacturing, Industry 4.0 and the Factory of the Future all point toward a digitally connected environment where manufacturing is based on actual customer demand. 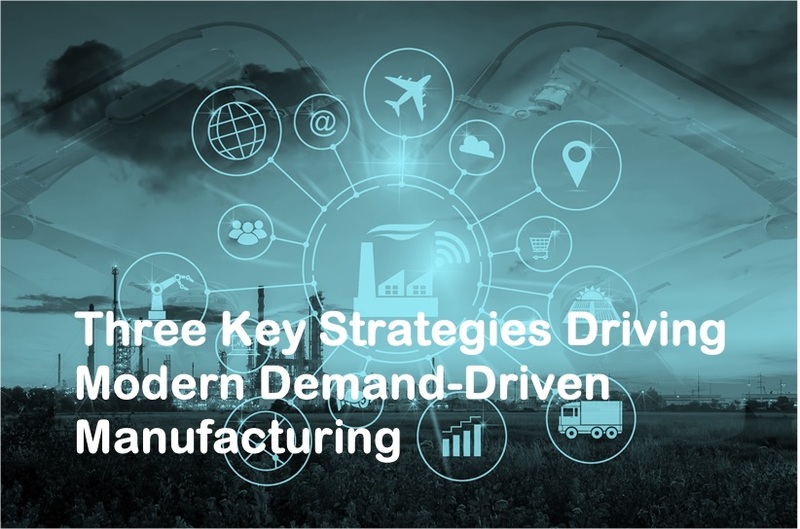 How Technology Will Connect Your Enterprise and Create the Demand-Driven Factory of the Future – Today reviews these strategies – along with how and why manufacturers are enabling them today. As manufacturing technology evolves, more options become available for managing the increasing complexity of today’s supply chains. 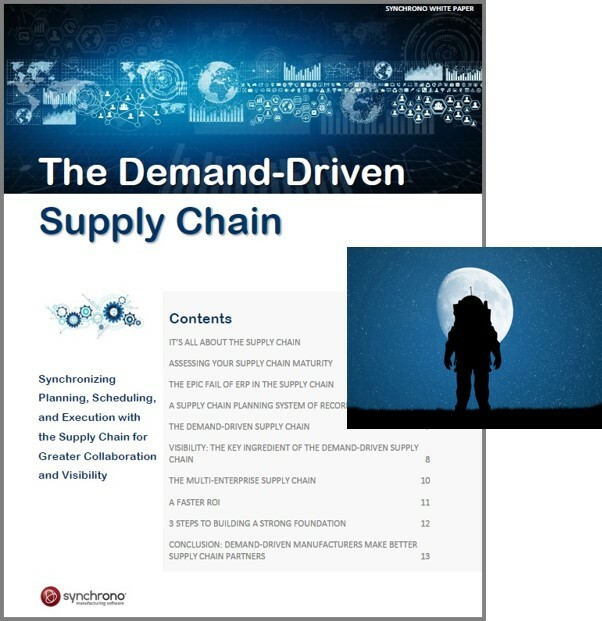 This paper provides guidance for evaluating your supply chain processes and how you compare to others on the technology spectrum. 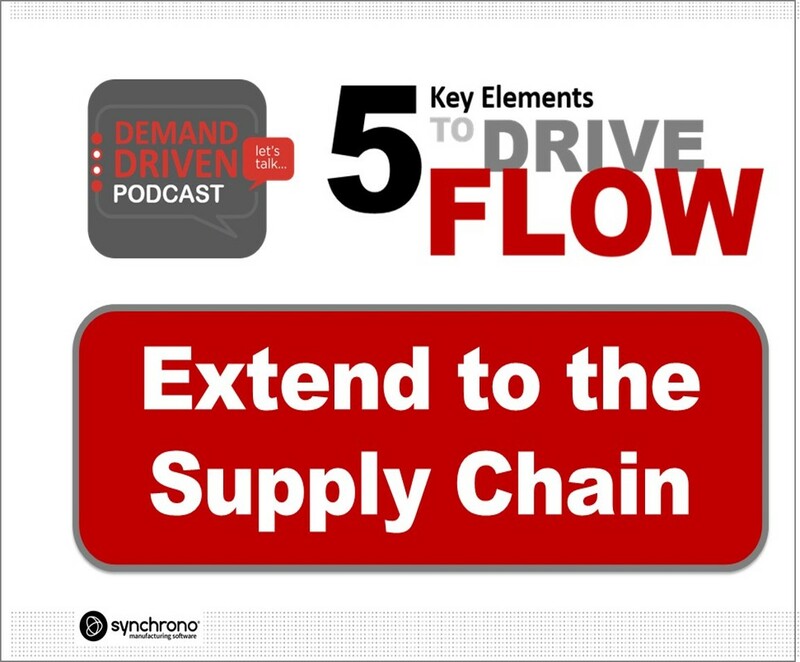 Learn why and how more demand-driven manufacturers are establishing a supply chain planning system of record to synchronize activities throughout their supply chain to improve production flow. 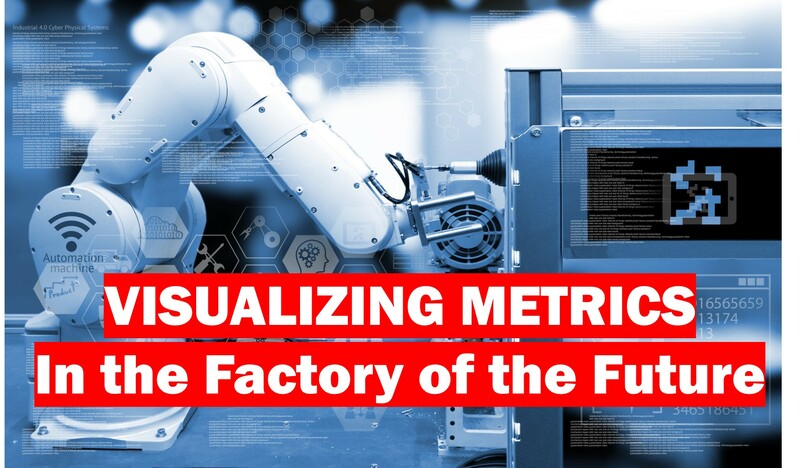 Real-world examples are provided on how manufacturers are applying technologies to better optimize and visualize their supply chains. 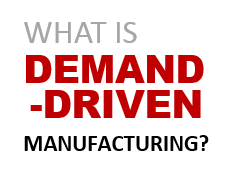 Thought Leadership: What is Demand-Driven Manufacturing? 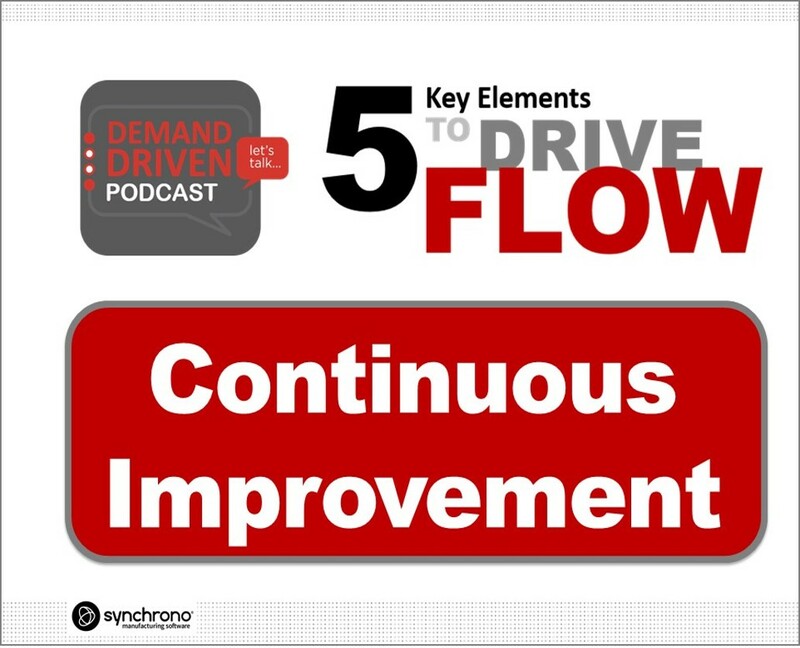 Demand-Driven Manufacturing combines the best of Lean Manufacturing, Theory of Constraints and Six Sigma principles. Find out why more and more manufacturers are turning to the proven methods of Demand-Driven Manufacturing to synchronize their operations, improve flow and gain a competitive edge. 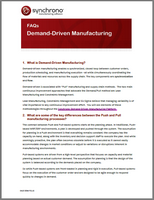 Download this resource brief on Demand-Driven Manufacturing to learn more. 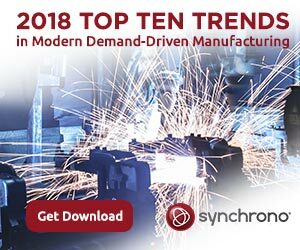 The 2017 Top Ten Trends for Modern Demand-Driven Manufacturing is based on interactions with hundreds of manufacturers and industry experts – addressing challenges, supporting innovation and introducing technologies. 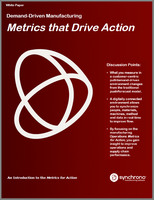 The constant, key themes that rise to the top are digitization, synchronization and visibility. Orbital ATK, Aerospace Structures Division (ASD), is a leading supplier of composite structures for the aerospace and defense industries. With a strong foothold in commercial and military aircraft and launch vehicle programs, the company was looking to equip a new facility with demand-driven, factory of the future technology to support its growing commercial aircraft business. 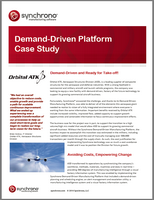 Read the case study to learn how the Synchrono® Demand-Driven Manufacturing Platform helped Orbital ATK create an award-winning transformation. 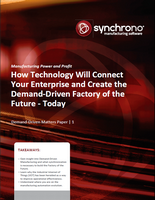 The Synchrono® Demand-Driven Manufacturing Platform is a collection of systems that enables the real-time visual factory of the future. 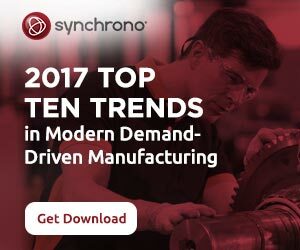 We’ve combined the power of demand-driven manufacturing planning and scheduling with operations capabilities and more to provide everyone at every level of your organization with a dynamic view of what’s happening at every stage of your manufacturing process; from order inception through production and delivery. What is Demand-Driven Manufacturing and in what environments does it work best? 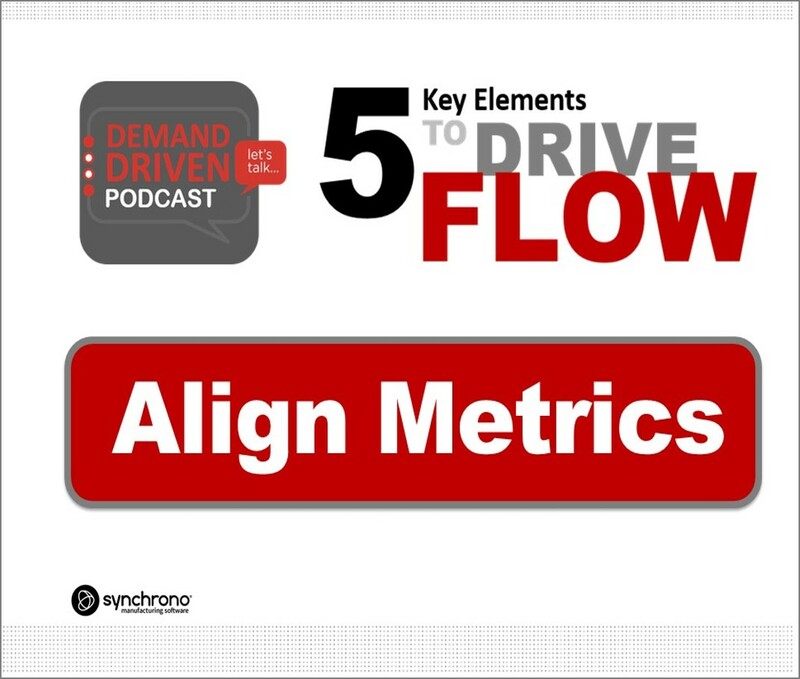 Why are constraints important and what are the KPIs that matter? Get the answers to these questions and more by downloading our FAQs. 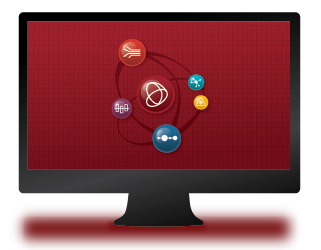 The Demand-Driven Manufacturing Platform enables the real-time factory of the future. But how? What’s included? Does it integrate with my existing systems?